Either you hold the word Grand Seiko in high regard or it means nothing to you. There’s no in-between for this true, hidden gem of the horological Universe. It’s the choice of the astute; the GS represents an unwavering dedication to precision craftsmanship and higher-end artistic ability. The Grand Seiko collection is popular for many different reasons though, but at the core, it’s just that. So the SBGR071 – let’s be honest – is a very plain looking watch that most will think twice before putting their money down. That’s perfectly normal; not many of us understand the niche, high-end Jap appeal. To appreciate the sorta-dress-watch-like appearance of the Grand Seiko, you must stick around bit more into the watch game. 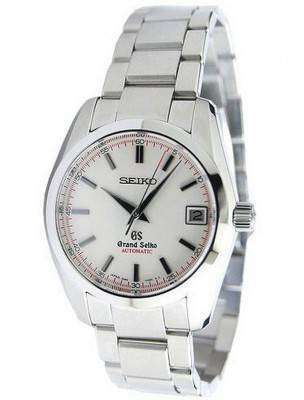 A Grand Seiko is for someone who wants a conservative look on the wrist with just enough novelty to strike a difference. It’s a welcome-everywhere look as long as you are not on the dance floor. The suffix SBGR denotes automatic, mechanical movements with a date complication. Initially, they had been time-only. Mechanical Grand Seiko Watches Australia returned in 1998 after two decades of hibernation and the SBGR family represents the basic, modern Grand Seiko. The SBGR range became global in 2010. It was JDM only, formerly and the SBGR071 was born in the JDM era. Here we are talking about the second generation SBGR. Seiko revised the SBGR range before turning it global; the 2010 International Launch featured models with date windows and a full 72-hours power reserve. The SBGR071 runs on the 35-jewels 9S65; the 9S- has been a series of high-end watch movements and a flagship mechanical movement from Seiko. The 9S65 is a competitor to the limited-production movements from popular Swiss companies (Rolex, for example). Its forte – other than its magnetic resistance standard ISO764:2002 certification which makes it withstand a direct current or DC magnetic field of 4800 A/m - is a careful finishing, rhodium plating and six-point position adjustment and only intended for use with a Grand Seiko. And all that are done and assembled at Seiko Watch Studio in Morioka, Iwate prefecture, Japan. However, perhaps technicality is boring you, so turn you glance to the case. It’s a work of art! The stunning contrast of brush and polish makes light shimmer as if in a mirror. No sharp corners, everything is mixed into a rounded form, which just seems natural, and good. It brings the watch an overall; balanced design. The outstanding finish is common for every metal surface on this watch! It lends character, satisfying even a detail-freak. This is why the Grand Seiko is Japan’s national pride and watch-making, a valued art-form. Or how much ever materialistic it sounds, if you want a high-end, meticulously-designed Japanese product and you got nothing particular in mind, this Seiko Watches for Mens could just be it!